This retrospective of Saberhagen's work presents stories from Fred's Berserker, Swords and Dracula series along with some of the best of his short fiction. Spanning more than four decades of work, from Saberhagen's first-published story to his last-written story, with samples from everything in between, the collection marks the scope and achievements of a remarkable writer's career. --From the Cover blurb citing the magazine. Highly recommended for Saberhagen fans and for anyone else who has not yet enjoyed his works. 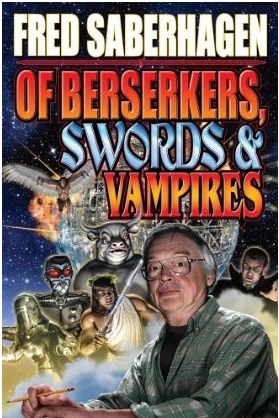 From the folks at Baen Books, Of Berserkers, Swords and Vampires: A Saberhagen Retrospective. I'm a big Saberhagen fan Empire of the East is terrific, and the Berserker stories are excellent, and his Dracula retelling (from DraculaÄôs point of view) in The Dracula Tape is brilliant.